Son of John Higham, a blacksmith. Began work at a Bolton engineering firm, then in 1899 he moved to Hulton, working for Hulton Collieries. For 13 years he was Assistant Mechanical Engineer and then Head Mechanical Engineer. He worked for the company for 36 years seeing many changes. When he first joined the company there were several pits on the Hulton Estate and in its most prosperous days, 2000 men were employed. On Saturday 21 April 1934, Pretoria - the last of the Hulton pits - closed. Councillor Higham's association with Westhoughton ended shortly after that when he left to take up a new appointment at the company's pits at Huyton near Liverpool. Represented Hulton Ward from 1923. 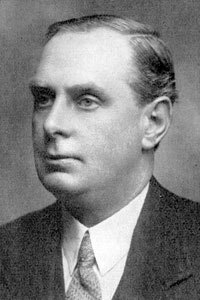 Chairman of the Streets Committee 1926 and the Farms Committee 1928-29. The Horwich and Westhoughton Journal of 13th April 1934 said that "He could not be described as a debater. On the few occasions he addressed the Council he said all he had to say in very few words. In fact, 90 per cent of his Council utterances were questions or answers to questions. Formal debates in Council never appealed to him, but in Committee, where the real work of Council is done, he is ever ready with helpful ideas and suggestions." The major part of his life was associated with the Four Lane Ends district. He was a Manager of the Hulton School and associated with the Mission Church for 30 years.